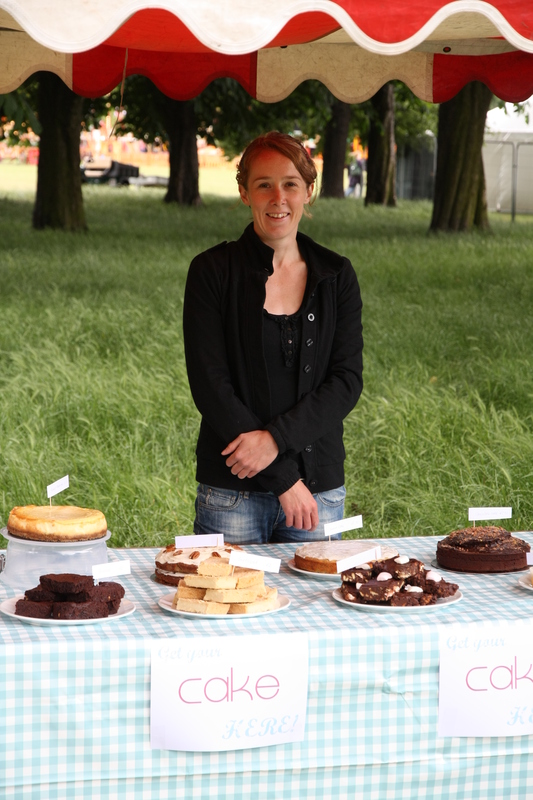 Paradise Gardens 2010 – cake cake cake! | It's all about the cake! Paradise Gardens festival in Victoria Park, London has been and gone for this year. 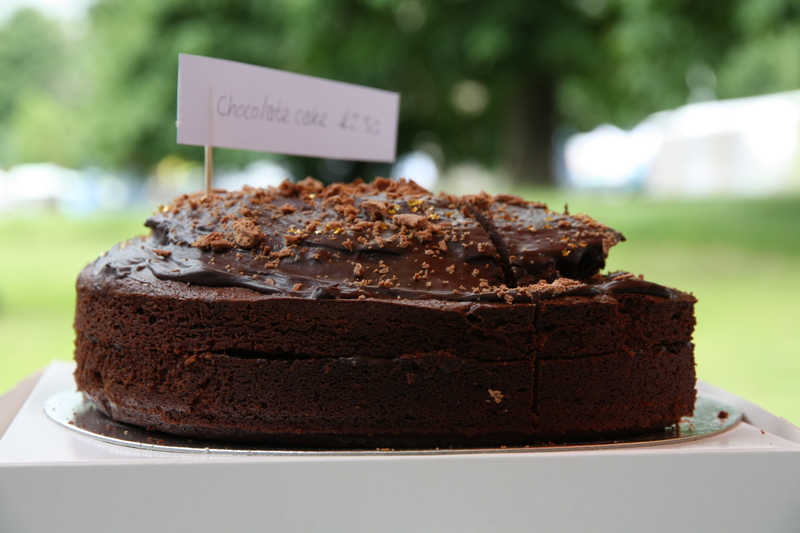 It was It’s all about the cake’s premier appearance at the festival. And a cake success I think. A pretty full on day of baking at home on the Friday meant that the rest of the weekend was largely spent sitting around eating and selling cake. Perfect! And oh, was there some good cake. 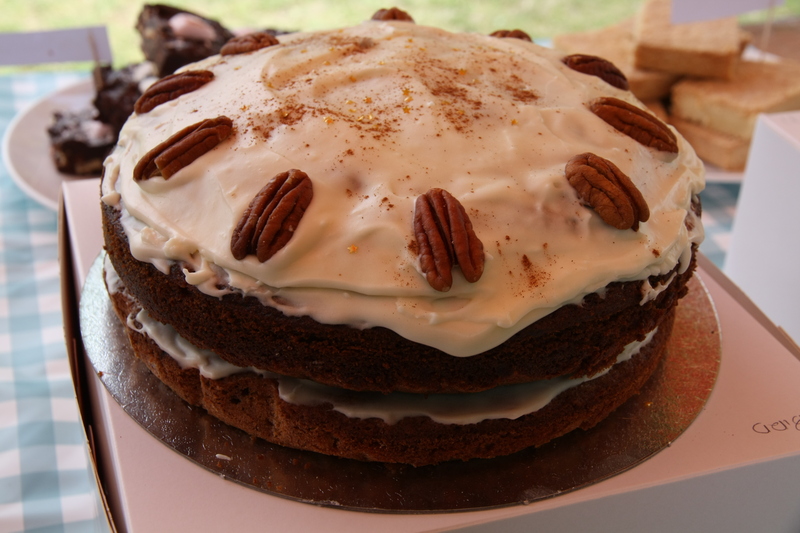 Cheesecake (of course), hummingbird cake, brownies, rocky road, lemon, double chocolate, shortbread… mmmm…! 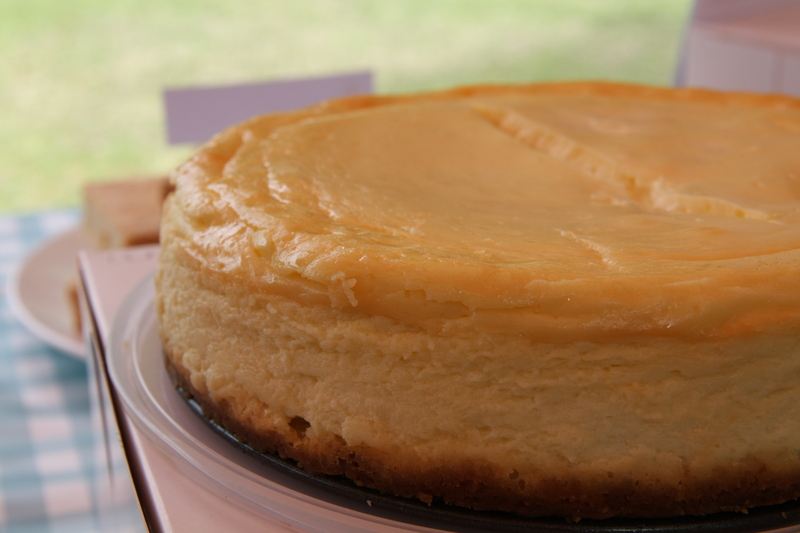 I also decided to employ less haste and more patience on the Friday during my baking session, which meant that there weren’t even any baking disasters to report. Therefore, no cake wastage whatsover. After a short stroll over to the park on the Saturday morning, cakes in tow, shoulders aching, the festival got off to a bit of a slow start. It was looking a bit overcast. It was super windy. 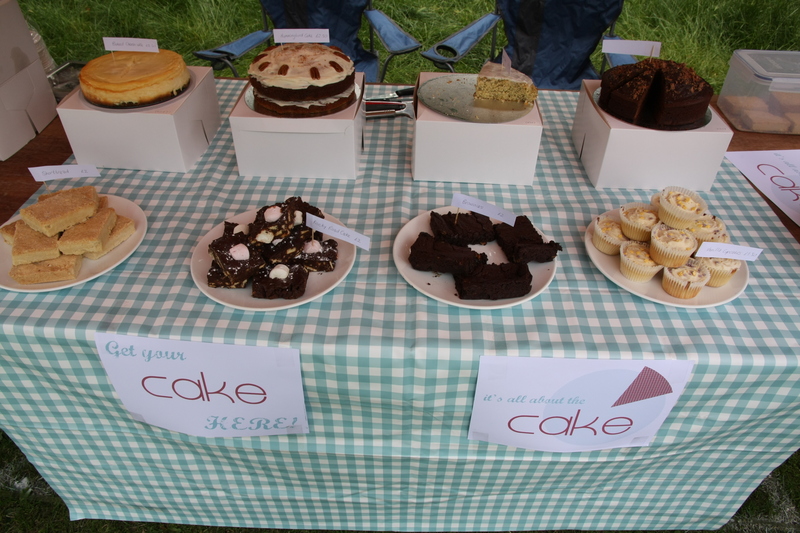 Let’s be honest, sitting behind the cake stall it felt like winter, not June. A quick trip back to the flat by Ian for an extra jumper and some more socks, meant that I didn’t get too chilled anyway. 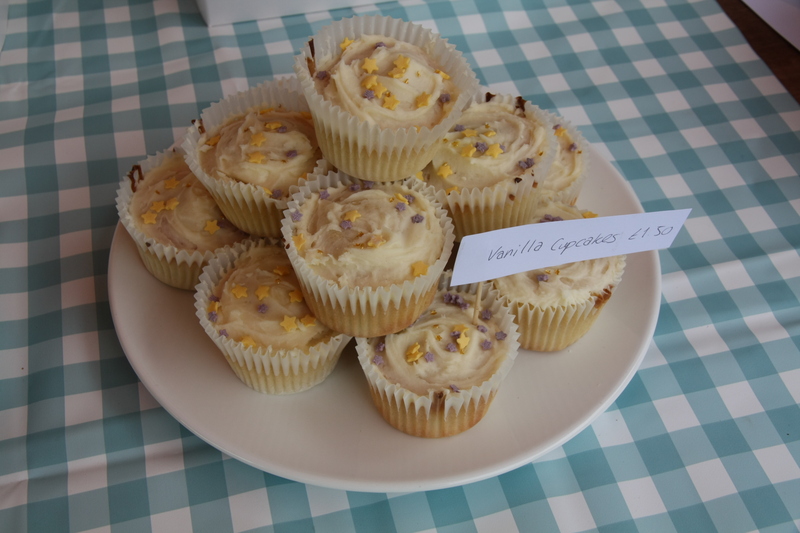 And thankfully, the cold didn’t put people off the cakes, which seemed to go down a treat. Many were shocked at the size of the slices, purchasing a cautious one piece between two, but quickly coming back for more. 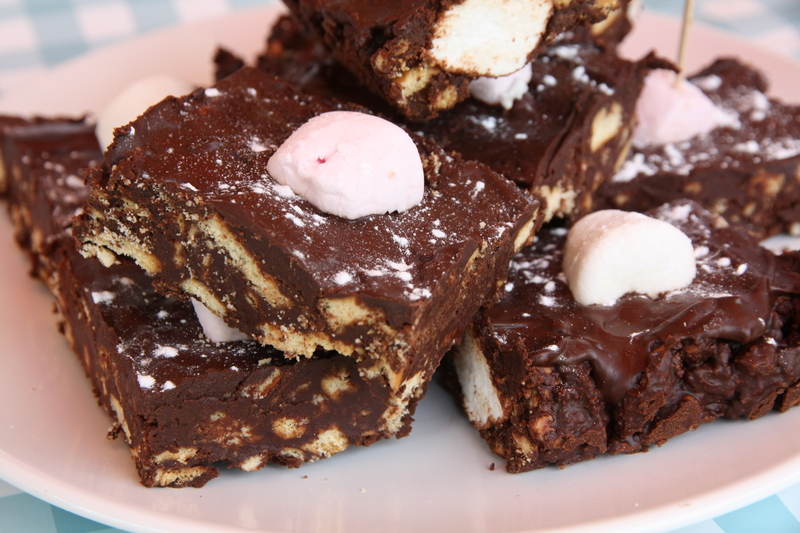 Both the brownies and the cheesecake were described as ‘the best I’ve ever tasted.’ And I believe it was the rocky road bars that made a child cry (because they wanted more). 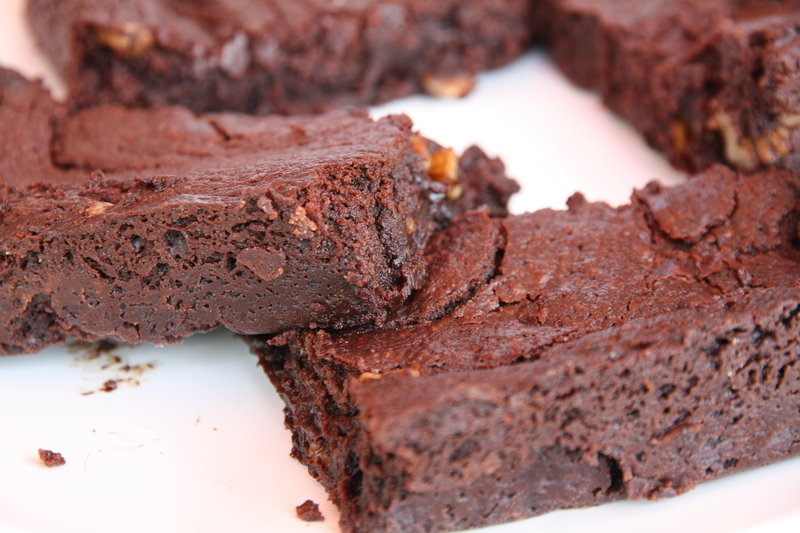 A successful day anyway, which meant that Saturday evening was spent doing a bit of panic baking – the cheesecake and rocky road bars were just too popular. Sunday, as I remember from the days when I wasn’t baking cake or running, is for lie ins, so another slowish start. But on Sunday afternoon, the sun finally came out. I was able to take my second pair of socks off. Ian headed out into the great unknown of the festival to lure people to the stall and away from the ice cream with samples of lemon cake. 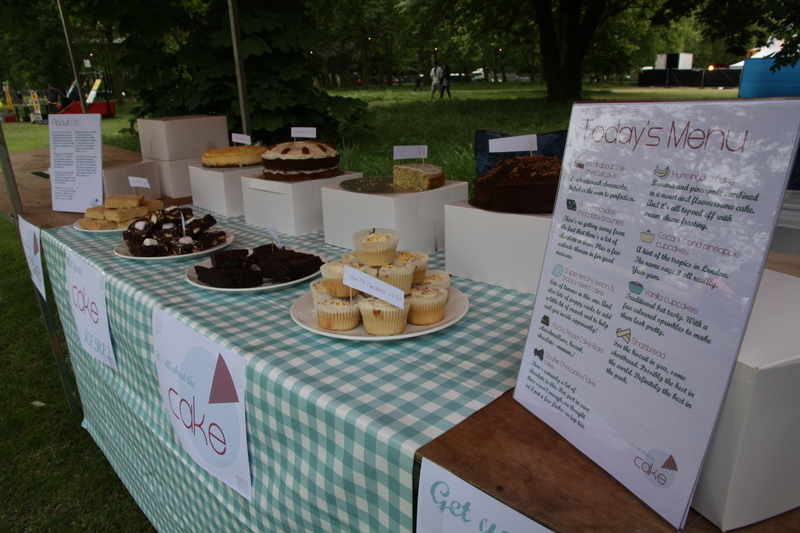 And I, single-socked, just, well, stood behind the stall eating cake (not really, no – not me). The final count at the end of the day meant that there were was just enough cake left for me and Ian to tuck into, but not enough to make us stupidly fat. So all in all, a success! 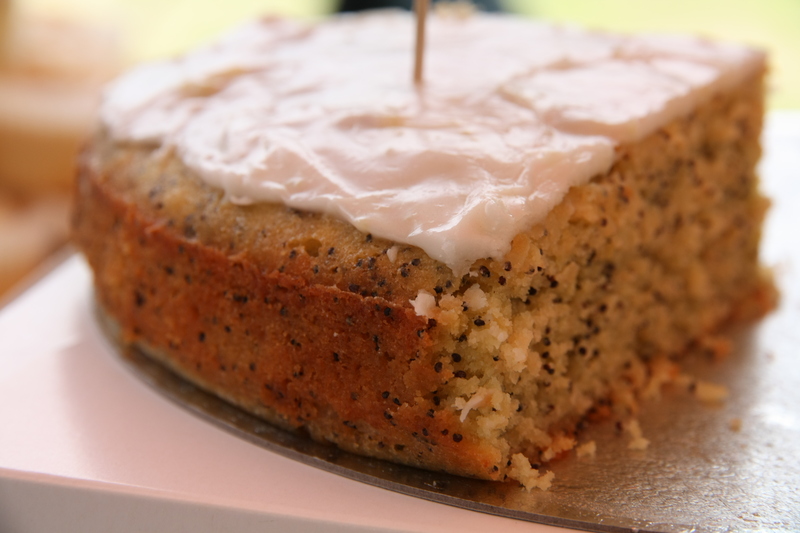 Given its success and the said loveliness of the cakes, it’s likely that It’s all about the cake will be looking for other festivals to premier at this year. So keep an eye out for any more news. Likely to be east London, or thereabouts.